You KNOW video is powerful, but you can’t afford to get videos made, and don’t have the time or know-how to DIY. That was the situation Keith Koons, founder and CEO of Upstate Synergy, found himself in. 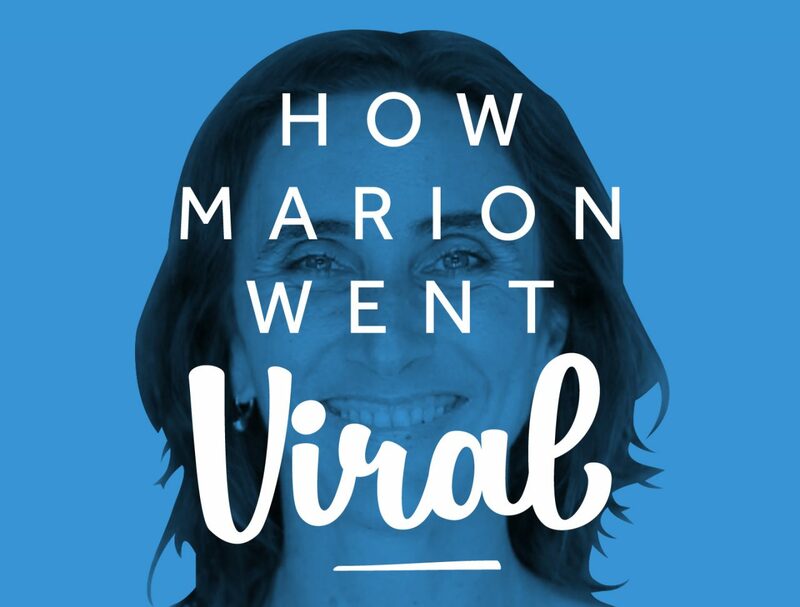 As a seasoned marketer, he was well aware of the huge opportunities in video marketing, but also believed that if you can’t do something well, you shouldn’t do it at all. He was struggling with high bounce rates and knew he needed a quick, easy way to engage visitors on his home page. 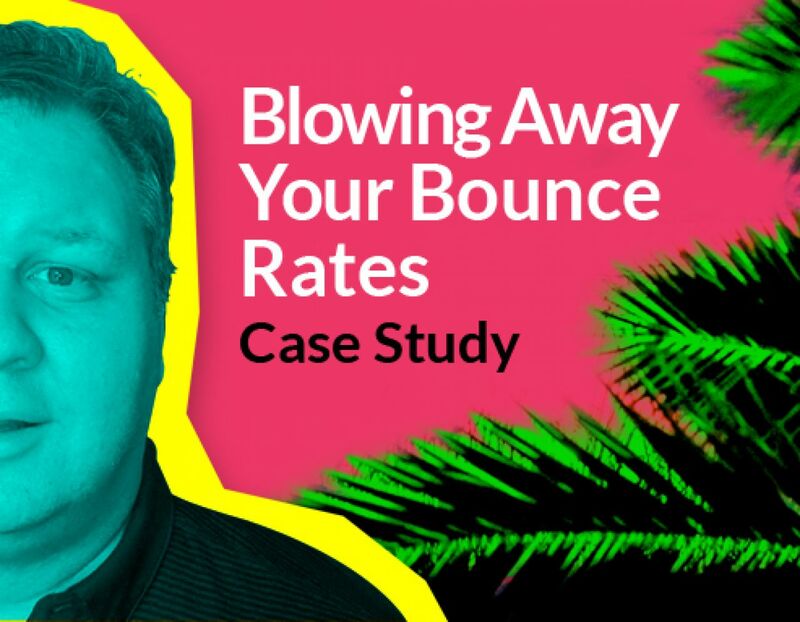 Then he found Biteable, and something crazy happened: within days of uploading an explainer video to his site, his bounce rate disappeared, his conversion rate jumped to almost 100%, and his social following started growing. 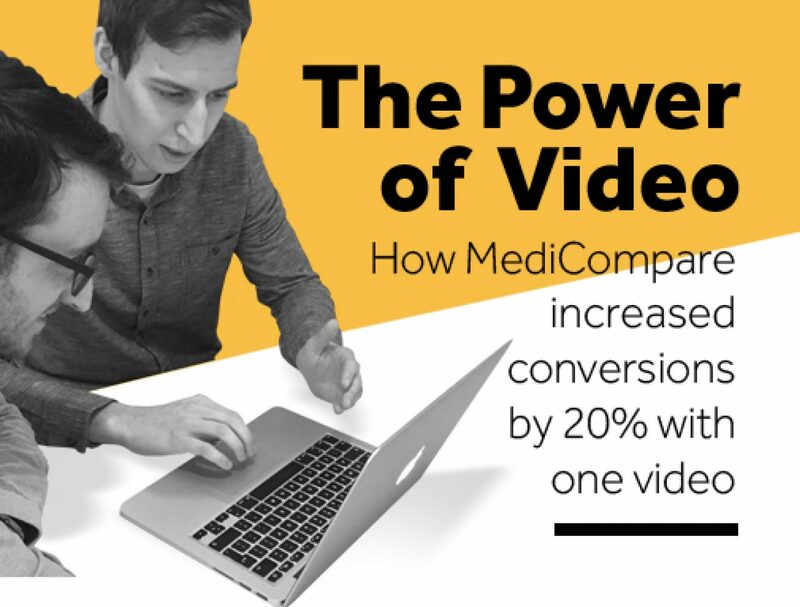 In just a few months, one video brought in an extra $34k in clients! We sat down with Keith to find out how Biteable supercharged his marketing. Biteable: Tell us a little bit about yourself and your company. Keith: I started working in the online marketing industry around the turn of the century as a copywriter, and quickly realized there was a long list of things I needed to know. SEO, conversion optimizations, social and video marketing, design — I pushed to become as well-rounded as possible. I soon realized I was spending a large amount of time finding new clients or relying on larger creative firms to generate writing business for me. Since larger clients were looking for full-service digital marketing, I had to either step up my game, get a job, or stay freelance forever. So I founded Upstate Synergy in 2007. 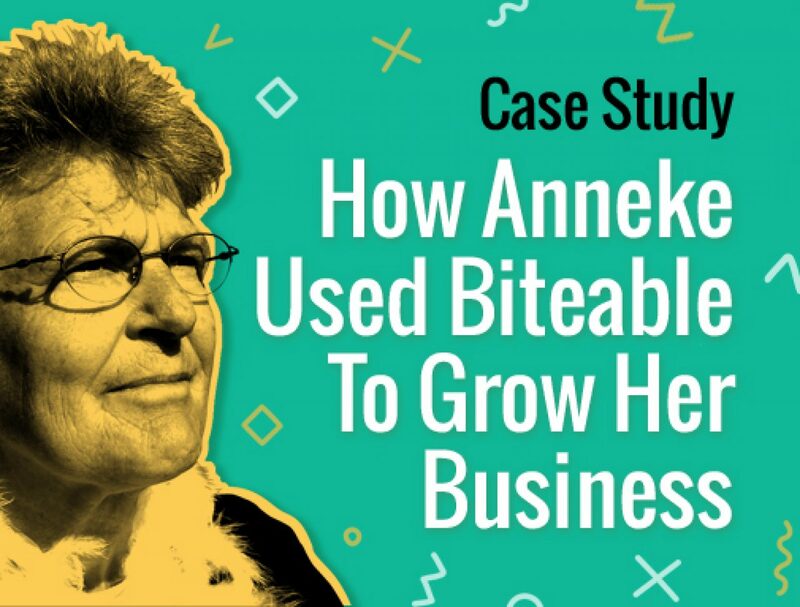 Biteable: How did your business grow up until now? Keith: At first, I was making a living with small clients and doing everything myself, but the hours were killing me. Eventually I hired a part-time web designer and someone to make graphics, plus I had freelancers who could make great videos, plugins, etc. My goal was always fantastic customer service and making sure customers knew I was the only call they had to make, so I’ve been slowly transitioning into a true CEO role. It’s hard to put down some hats when you’re used to wearing dozens of them, but that move let me focus on growth and spoiling our clients as well. Biteable: What does your team look like today? We’re currently small, with three full-time employees and several more part-timers, but it’s a pretty good balance for a boutique agency that’s all about great customer interactions. Biteable: How were you promoting your business before trying Biteable? Keith: Luckily, I’ve always had great word of mouth from clients and I was one of the highest-rated freelance writers on Upwork from around 2005 to 2012. So getting work was never a problem — it was getting the right type of work. I wanted larger clients with monthly marketing budgets who were looking for long-term relationships. And even with amazing exposure on Upwork, finding those clients was very rare. I tried everything — posting on Craigslist, offering free digital marketing clinics, attending networking groups, etc. While these produced pretty good results at times, they were never the right type of client. Biteable: Why did you decide to try Biteable? Keith: I watched video explode in the mid-2000s, and I knew it would be a goldmine (for myself and my clients) once Google purchased YouTube. There’s nothing simple about video though — if you can’t make an awesome video for potential clients, you really shouldn’t make one at all. So I was relying on every possible organic source out there EXCEPT videos, even though I knew I was shooting myself in the foot. It’s extremely hard to find someone who’s great with a camera, awesome at video editing, and actually has the time to work with you affordably. So I went without video for several years. I discovered Biteable through one of my Fortune 500 tech clients. She mentioned she could make super high-quality videos in about 10 minutes…and I thought she was out of her mind. I discovered Biteable through one of my Fortune 500 tech clients. She mentioned she could make super high-quality videos in about 10 minutes with me handling the creative and the writing, and I thought she was out of her mind. But sure enough, Biteable really does make it that easy. Biteable: How many people have seen your Biteable video now? Keith: To date, Biteable videos for my website have around 18,000 views. But that’s over the past two months without any kind of social presence — which I didn’t pursue hard because I wasn’t doing video. Now I’ll make videos for all kinds of stuff, anything from a quick holiday video with well-wishes to tutorials, service descriptions, and advertising. I’ll sometimes throw out some motivational stuff as well if something in the news moves me — it’s an awesome way to communicate! Videos are shared much more often than any other content type as well. I plan on making a video for every service on my website, because that’s what customers look for these days — they want the facts as quickly and as easily as possible. Biteable: What does your social following look like now? Keith: As I said, we had no social following for years because I just didn’t have the time. That’s another aspect of marketing where you should do it well or not at all — the last thing you want is an inactive Twitter or Pinterest channel with people reaching out and you not paying attention. So I knew to stay away until I had something that was awesome and worth sharing. Then I posted the video to Facebook to test as a sponsored ad with a modest $10 local budget, just to see how it was received. 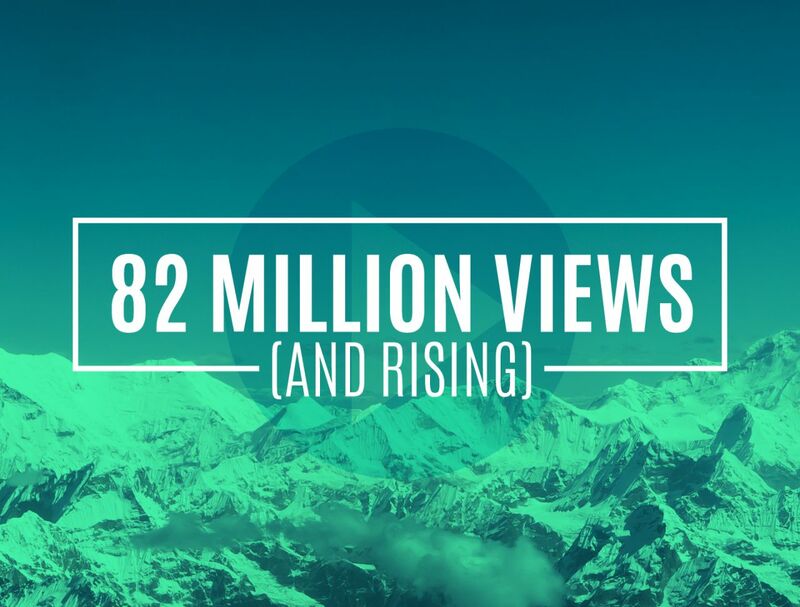 In a seven day campaign, it was watched about 350 times by local business owners and entrepreneurs. Over 100 people visited my website for more info and I ended up with three new clients for almost $14,000 in immediate business — all off a $10 ad and my Biteable membership. Over 100 people visited my website for more info and I ended up with three new clients for almost $14,000 in immediate business — all off a $10 ad and my Biteable membership. I’m pleased to say that since then we picked up over 1,000 Facebook followers just in the past 30-40 days — almost exclusively thanks to Biteable. Biteable: Have you seen an increase in business or traffic since you posted your Biteable videos? Keith: The biggest problem for any website is getting customers past the homepage. If they click any link on your site to learn a little bit more about you, your chances of getting their business become exponentially higher. My first Biteable video is the first thing you see on my homepage because it tells my story, the customer’s objections, plus has a few feel-good moments — all in one minute! During the first week that video was in place, I had a 1.6% bounce rate, which means almost every single person took a deeper look at what we had to offer. In the digital world that’s practically unheard of; I actually thought Google Analytics was messing up somehow. But then the new leads started coming in at a much steadier pace and people were much quicker to pick up the phone. During the first week that video was in place, I had a 1.6% bounce rate, which means almost every single person took a deeper look at what we had to offer. In the digital world that’s practically unheard of; I actually thought Google Analytics was messing up somehow. Biteable: How much more effective do you think video has been compared to your other forms of communication? Keith: I’m obviously biased as a lifelong writer — I really want to tell you that copywriting is the best way to drive sales. These days though, people have to think of video as an essential piece of the puzzle. Customers expect it and they’re not going to read through 3-4 paragraphs to gain that information. If you place the same content in a 60-90 second video though, they’ll watch the entire thing and have a lot more confidence in your company. This is true for an online retailer, a local business, or something in between. Biteable: What do you like most about Biteable? Keith: It’s really hard to pick one thing because Biteable does so much really well. I love the simplicity of being able to create a concept and have a studio-quality video in record time. The content selection is also awesome for paid members. There’s tons of stuff that would fit for just about any type of video scene. Probably the biggest thing is the price though — I’ve paid $500 or more in the past to produce a single explainer video for one of my clients. The value with Biteable is off the charts fantastic! Biteable: Thanks, Keith, for sharing your Biteable story! 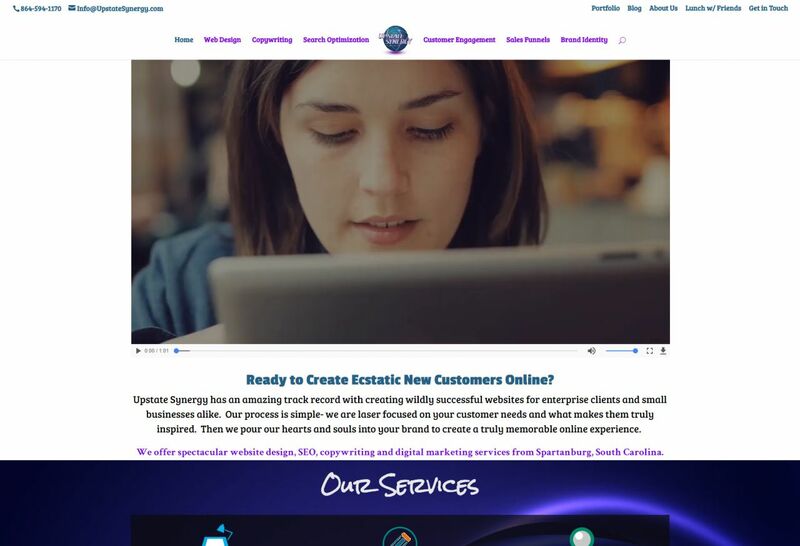 Check out the video that transformed his marketing on the Upstate Synergy website and find them on Facebook here. Have a Biteable success story to share? We’d love to hear from you! Looking for other success stories? Use Biteable to supercharge your home page, blow away your bounce rate, and rule social media. Here’s some other stories of people who’ve done just that!